Designing your dream home to complement your lifestyle is the very foundation of custom home building. We incorporate our years of construction and in-house millwork for completely custom cabinetry and exquisite woodworking to create beautiful solutions for estate development and home remodels for all different budgets. The result is a dream home you've helped to create that will fit your specific wants and needs– a reflection of your style and sophistication. As a 3rd generation homebuilder and industry leader in custom home construction since 1991, we specialize in distinctive craftsmanship and have built a vast array of home styles and individual floor plan designs. Custom home buyers are, by nature, innovative and selective. We help you realize your vision of the perfect home in the perfect location and your complete satisfaction is our only objective. 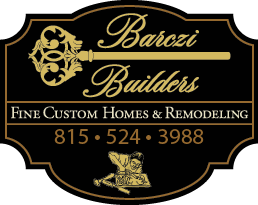 Barczi Custom Homes is dedicated to our customers and create lasting relationships with our clients. We are dedicated to be available to our clients at any time and are able to offer this extraordinary service because we stand behind the quality of our work. Our personal relationship with our clients enables us to build that truly custom home that reflects your personality and style. Click here to schedule a tour of homes at your convenience, complements of Barczi Builders! of homes at your convenience.